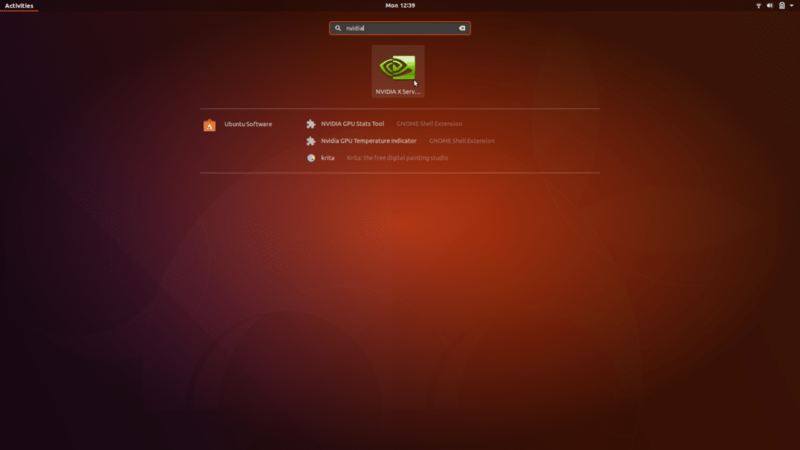 In this article, I will show you how to install Nvidia Optimus drivers on Ubuntu 17.10. Nvidia Optimus is a technology that enables a device to use 2 graphics card at once. One of the graphics card is not as powerful as the other. The benefit is that, it saves energy and increases battery life. 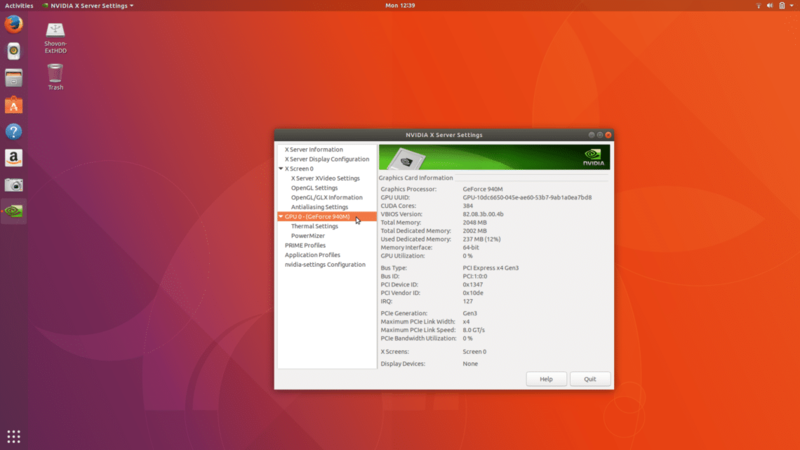 The programs that don’t need much GPU processing can use the less powerful graphics card, like Intel HD Graphics. The high performance graphics card is only used when you run softwares that needs the GPU, like Blender. It’s also known as Hybrid graphics. Most of the Nvidia graphics card used on laptops/notebooks or any other mobile devices these days support Nvidia Optimus technology. So if you have one of these devices, this article is for you. Let’s get started. Note: Make sure all of these checkboxes are marked. 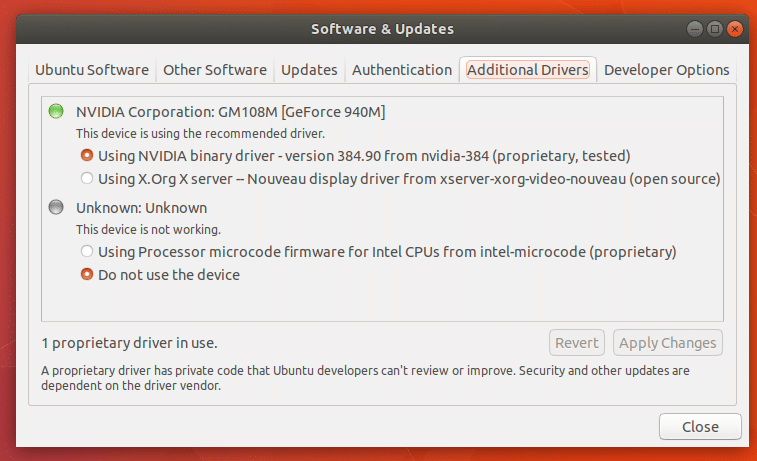 Then click on “Additional Drivers” tab. 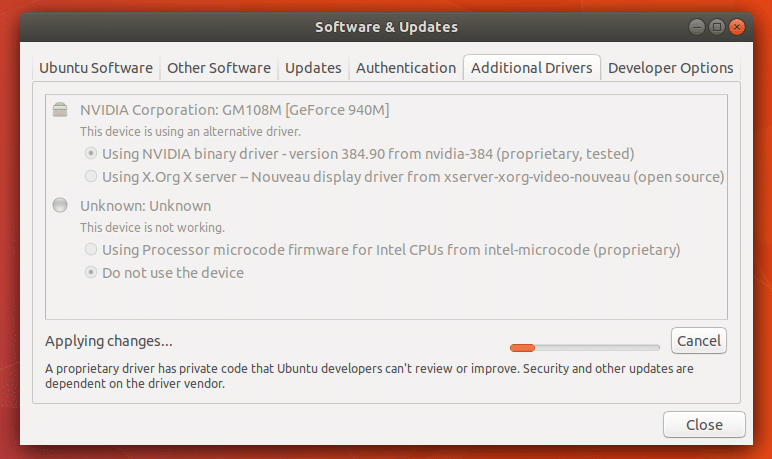 Here you can see that currently I am using open source nouveau drivers. 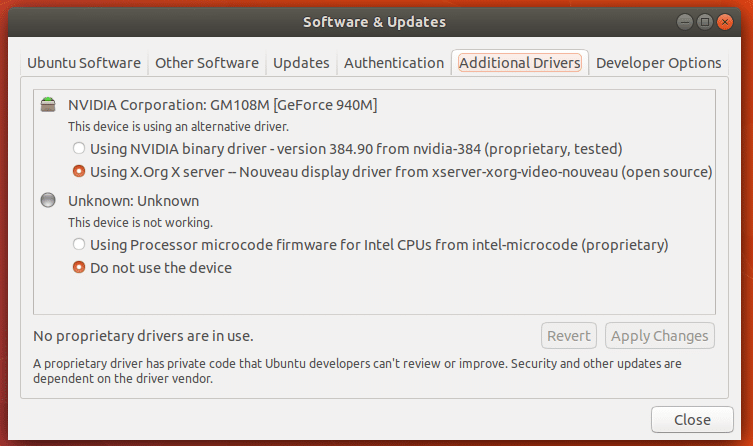 It should take a while to install Nvidia drivers. Please wait till it’s complete. 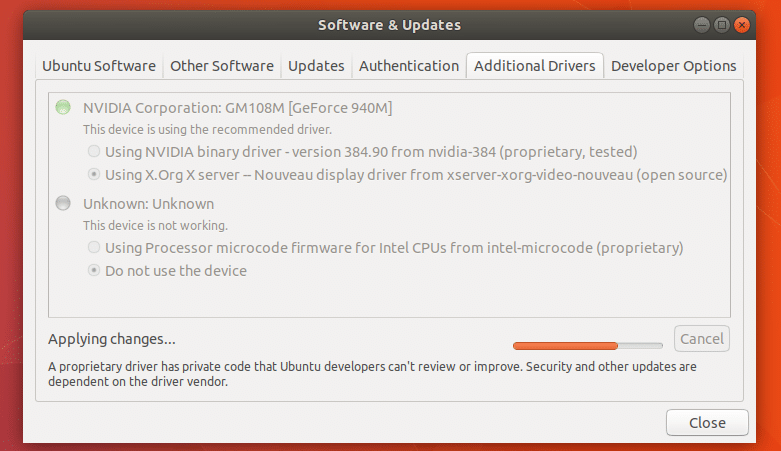 Once the installation is complete, you should see a green mark right beside Nvidia Corporation and also notice the “1 proprietary driver in use” in the bottom of the window. 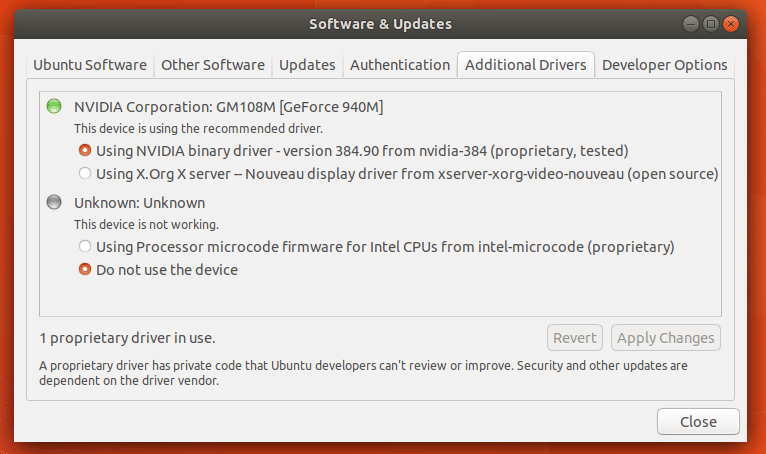 So Nvidia Graphics driver installation was successful. 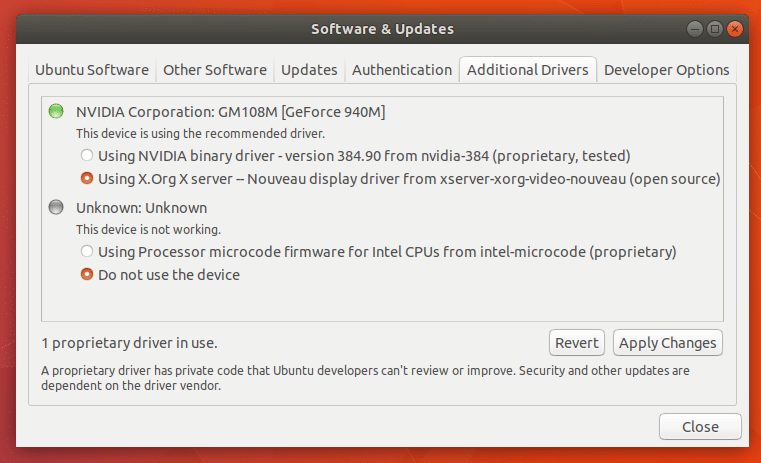 If you want to switch to open source nouveau drivers, open “Software & Updates” like before. Then click on “Apply Changes”. It should take a while for the changes to take effect. 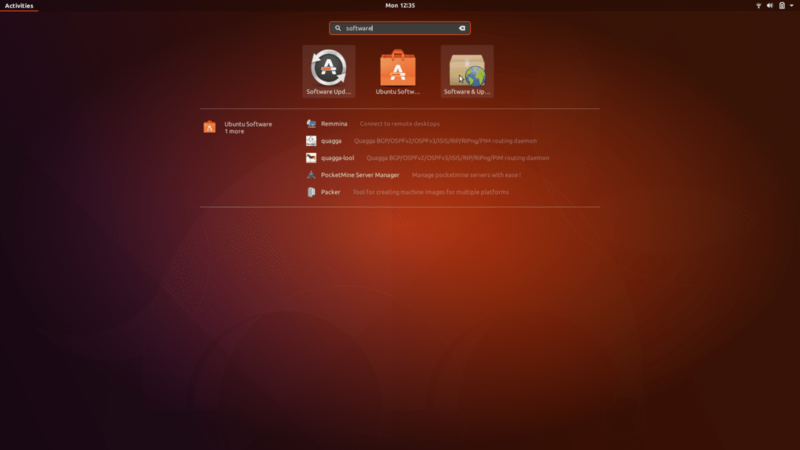 Now restart your computer and nouveau drivers will be used again. It should take a minute or two. 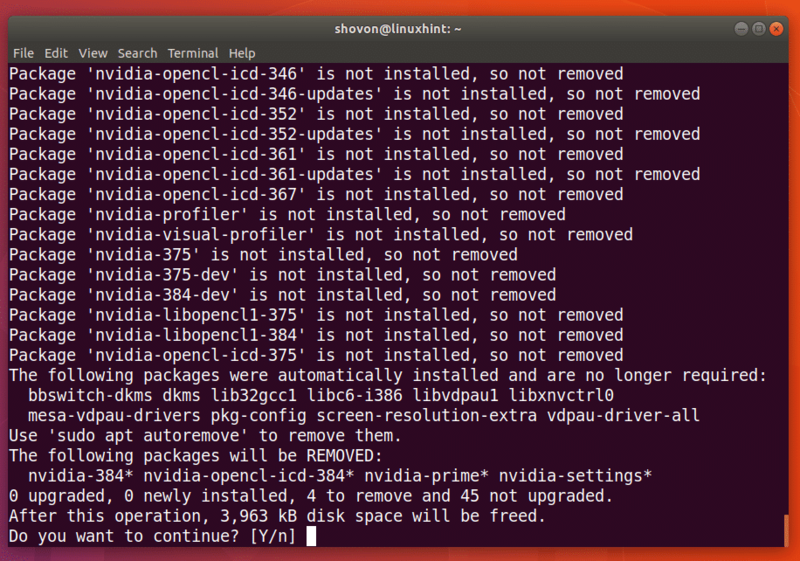 Once the command completes, Nvidia drivers will be completely uninstalled from your computer. Now restart your computer and you’re good to go. 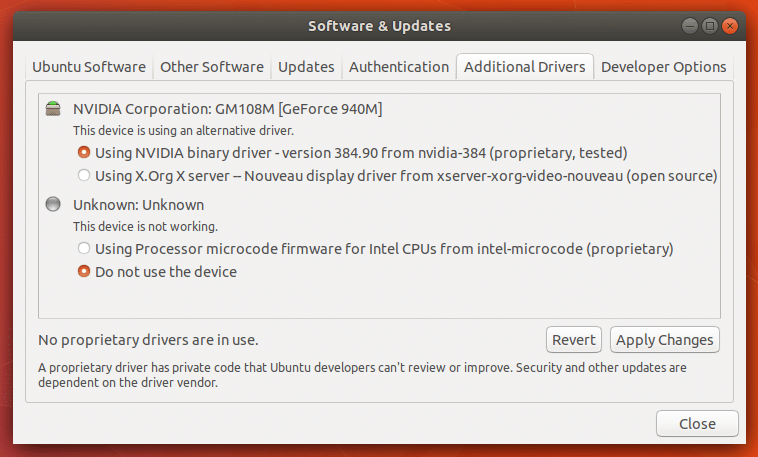 That’s how you install and uninstall Nvidia drivers on Ubuntu 17.10. Thanks for reading this article.